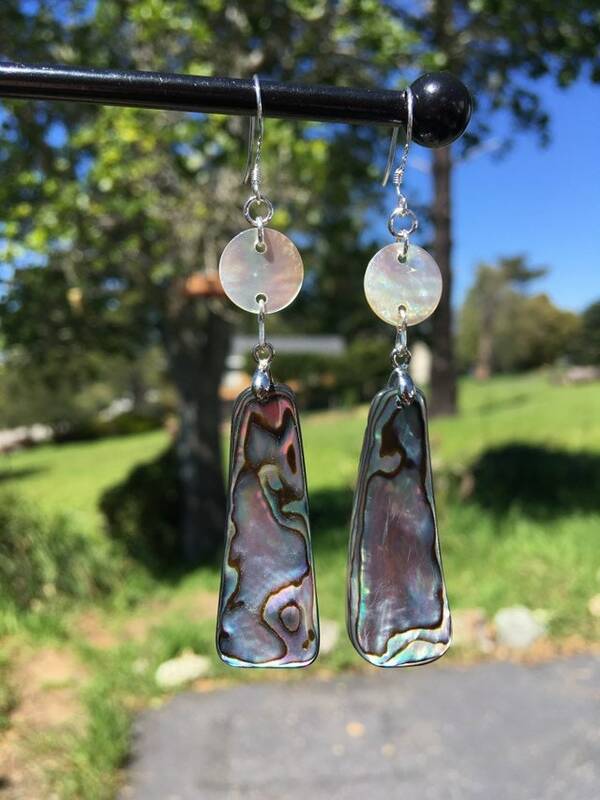 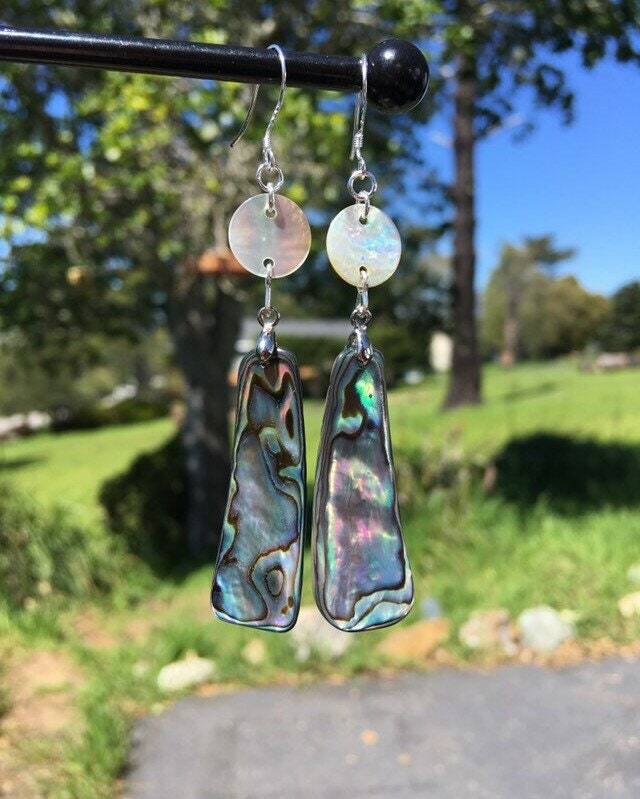 These beautiful rainbow hued abalone earrings have a unique shape and would be fantastic for the Spring and Summer seasons. 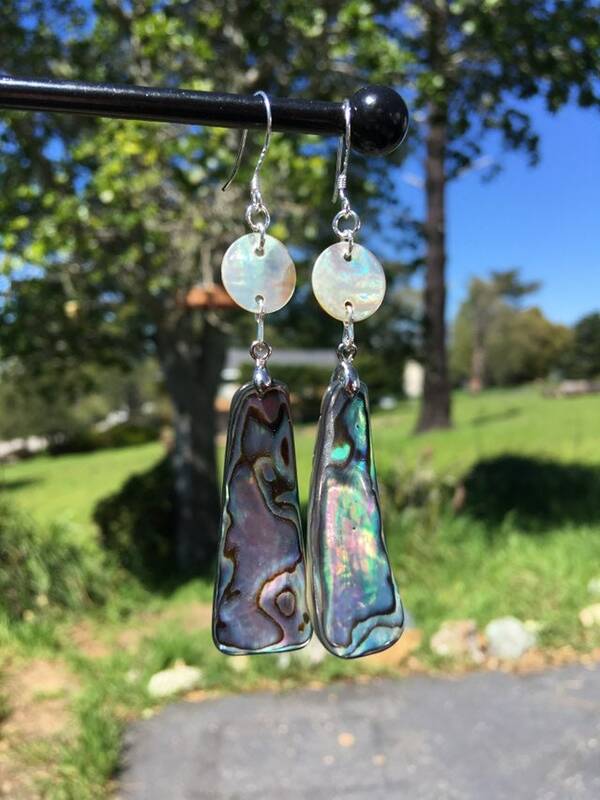 These are 2 1/2" long. 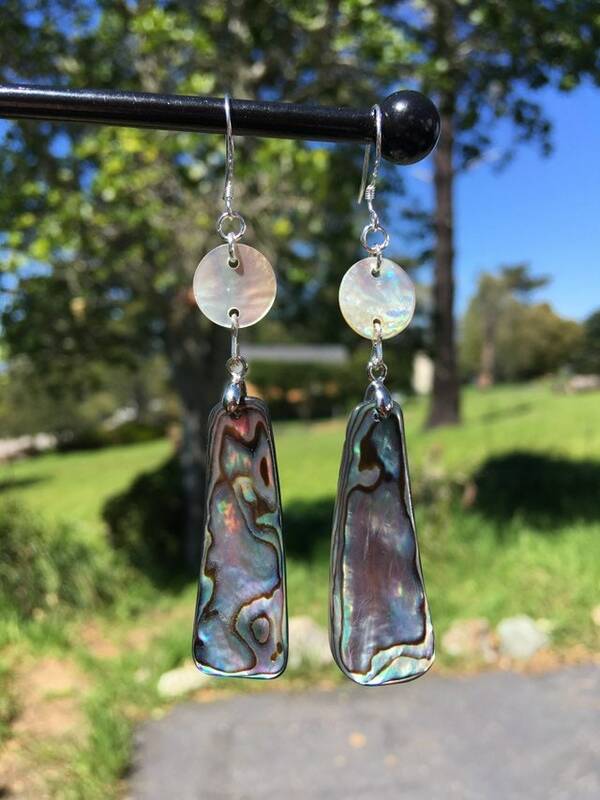 Earrings hooks are .925 sterling silver.